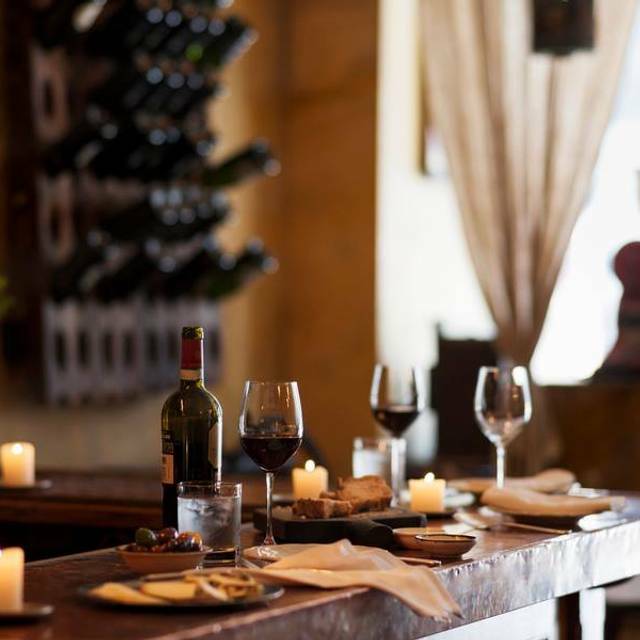 Warm rustic atmosphere, with an antiques filled decor, featuring a chef's table, a beautiful wine cellar, and main dining room. Beloved by foodies for its inventive use of the best ingredients available, il Buco is one of New York’s hidden treasures. Take the F V B or D Trains to the Broadway & Lafayette stop, or 6 Train to Bleecker. We offer 2 unique private dining spaces. Our charming Chef's Table accommodates 18 guests for a seated dinner service. 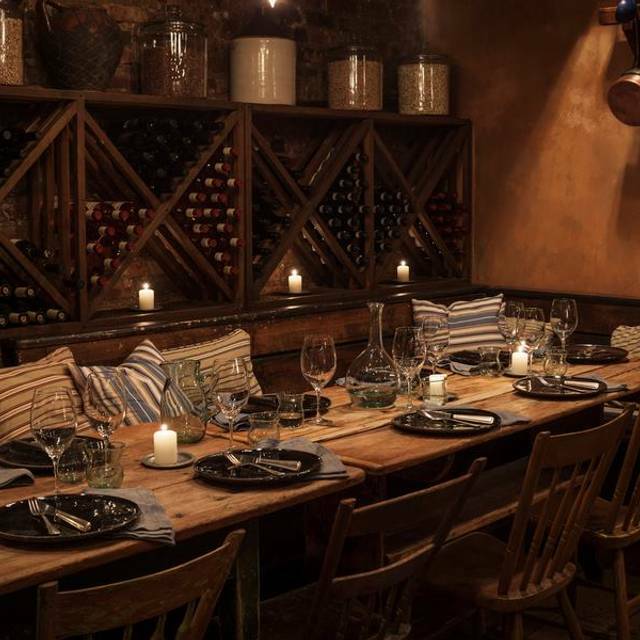 While our rustic Wine Cellar can accommodate up to 28 guests for a private event. We also offer full restaurant buyouts for up to 75 guests. This was my second time dining there - both times I thought the food was way over-rated and extremely over-priced for what you are getting. I was quite underwhelmed with the food, especially for the high prices. We were also let down because we informed the hostess earlier that we were celebrating our anniversary, and they didn't do anything special for us. Would not go back here. I've enjoyed dining at il Buco every time I go there for the last 20 years.. They have excellent wine list ; but being picky on wine, I hate to spend more than half of the bill on wine ; thus their accommodation of corkage fee of $35 is quite reasonable..
First time and a great time! Food was impeccable and service was sublime! Very ahead of the curve with pre meal contact and wonderfully friendly faces when you arrive. Sommelier had complete command of the wine list and our service person Johnny took complete control and provided a happy and winning experience! We ordered small plates throughout the evening -- one or two at a time -- and everything was exquisite. The staff was attentive and did not rush us through our meal. It was one of the best meals I've had in New York. The table was very uncomfortable. It was too low and I couldn't get my legs under it. The noise level was very high. We had to shout. It's too bad, even though the meal was outstanding , I'm not sure we'd return.I prefer the Alimentari restaurant over Il Buco. 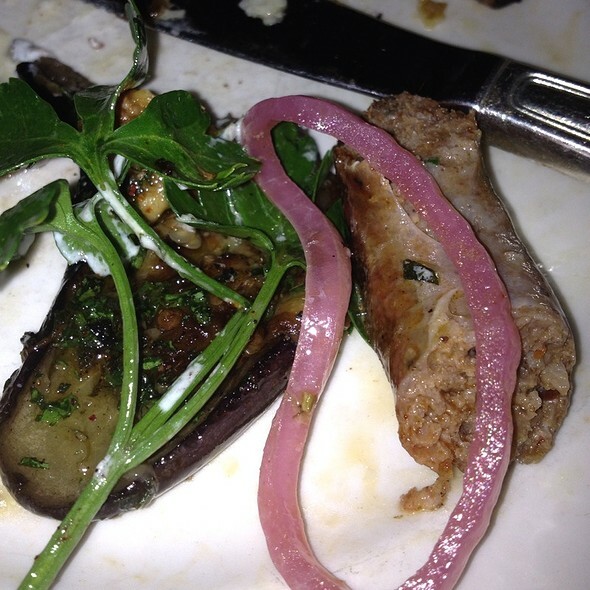 I had made the reservation 2 weeks in advance, and we were looking forward to visit Il Buco. 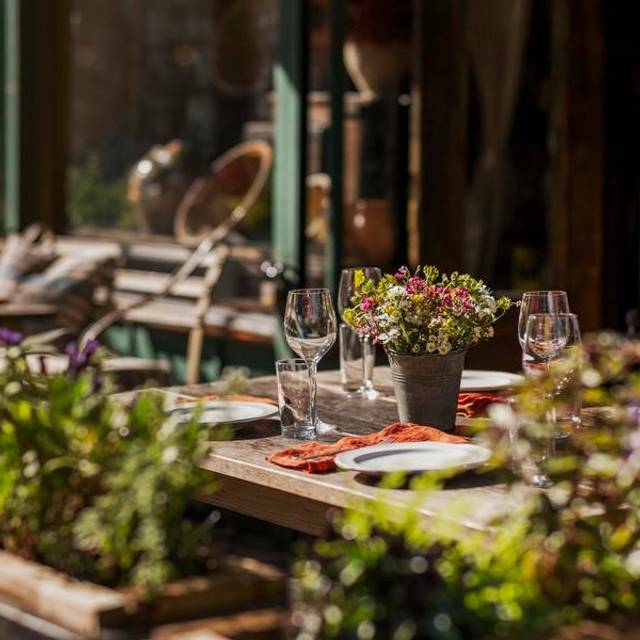 BUT - since the restaurant does not use Open Table anymore, they had not received our reservation and we had no table irrespective of the fact that the booking was made through Il Buco's homepage and that we had recieved confirmation on our booking from Open Table two days in advance. The food was lovely and the waiter in the bar was very service-minded. We were initially taken to a horrible table in the back room but our request to be moved was granted and we were soon in the very cozy and rustic main dining room. Service thereafter was friendly and attentive. We started with olives (good) and found a fairly priced Umbrian red from il Buco's extensive list of Italian wines. We shared a rigatoni with meat sauce to begin (superb), and then had the cavoletti salad (excellent) and the pork main dish (quite good). Il Buco has wonderful bread, served with excellent olive oil. 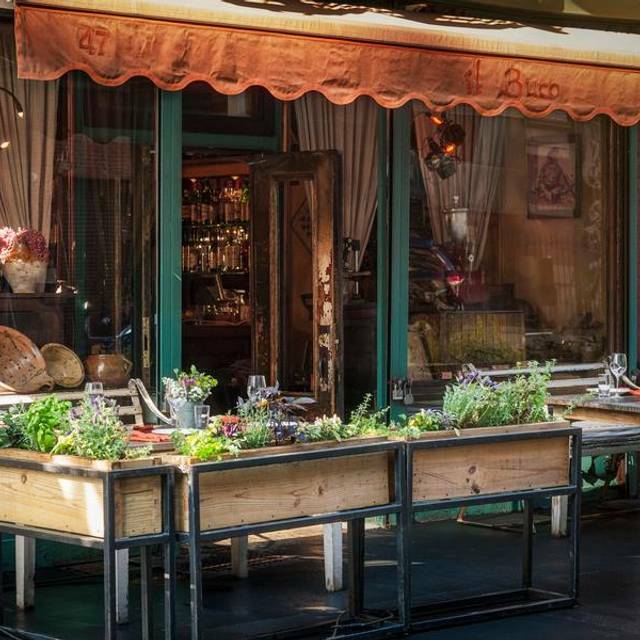 At $120 pp il Buco is not an everyday dining destination but is worth repeated visits. This was our third time and we expect to return. Hip and cool farmhouse setting for great modern Italian food. Pricey and noisy but service is great and the vibe is happening. I love Il Buco. There is so much integrity and high quality of care in the food and service. It is absolutely one of the best Italian restaurants in NYC. It was our 20th Anniversary, and I can't think of a better restaurant for an occasion like that: great food, excellent service and wonderful ambiance. Only downside was the noise level, which for our tender 'senior' ears was a bit too much. But everything else made up for it! Very charming high-end Italian in a comfortably rustic setting on a cobble-stoned Manhattan block. Impeccable service and hospitality. Il Buco never fails. Hip and fun atmosphere, great food! 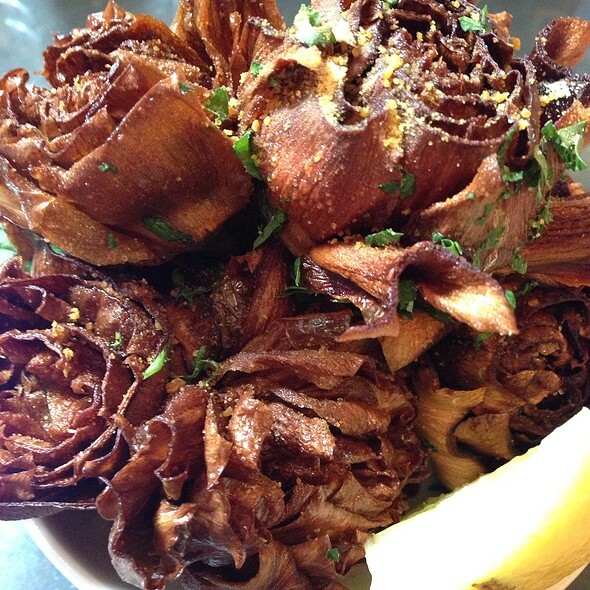 We have enjoyed il buco for more than a decade but our experience on Saturday was disappointing. Food was excellent. However, there was a wait for the table and when seats were available at the bar we were asked to get up because they were reserved for people eating. Our table was in a cramped area in the bar and noise level was unbearable. It was a nice moment for us visit Il Buco. Sure we come back again. I do not like to split a large table for 2 different parties... too cramped. Nice venue but very pricey for the quality of food offered. It supposed to be a Mediterranean restaurant but most ingredients come from the US. Do not go there if you want to eat pure Mediterranean food. Consistently good food, great service and very nice vibe. We got a table outside and it was just perfect. I love this place and it continues to be a favorite of mine. This "upscale" version of their lower key Sister restaurant which is delightful is not worth the extra $. Terribly slow service between first and main course then when the main came the lamb was ok but the steak was an unacceptable and inedible cut of meat. To be fair the manager asked if we wanted something else but it was too late and too long to prep so we declined and also declined the comp dessert offer as well. Just wanted to leave. Loved this restaurant. Food was impeccably and creatively prepared and the service was excellent...better than most. We will definitely return! Frankly disappointed. Had eaten there before and enjoyed it. Went for an early lunch. We all had either pasta or risotto, and it was agreed that it was good. But there were no vegetables to be found, no small salad, nothing crunchy. It was kind of like eating oatmeal in the morning and heading off to work. Not a real meal. The food was just average, although the bread and olives were very good. I had a salad which was tiny and just okay. I would go there for a drink to sit on the patio, which I had done prior to this visit. Great food, interesting wine list and attentive and friendly service. The main room can get a little loud so for a quiet tete a tete would suggest the wine cellar. And can't wait to return. We enjoyed the restaurant. The only complaint that we had was it was too dark inside. Many people were using their cellphones or the candles on the table to see their menu, including us. 40th birthday trip to New York. Drew wine recommendation was great and she was really charming. Have the Pomodoro soup and lamb! Second time here. Love it. Cosy, authentic, relaxed and romantic ambience. Needs a bar/waiting area though. We were a little early for our table and were ‘directed’ to the bar for a drink. Which is fine apart from the fact that there are diners at the bar so we have to lean over them to order drinks which was way too awkward – especially if there are more than 2 of you. The menu is all seasonal so everything we enjoyed was fresh and delicious. The bread basket was nice with the delicious nutty olive oil. We didn’t order it but when we saw the neighbours dish delivered we ordered Kale Caesar salad which was really really good. All our courses were fresh and delicious and the wine list is a treat for any buffs – a varied price range too. The tables are mostly large and shared but they have a neat way of splitting larger tables with plants which works really well. Very disappointed with the food choices and prep and presentation.The staff was easily confused and did keep track of orders and arrival of food. 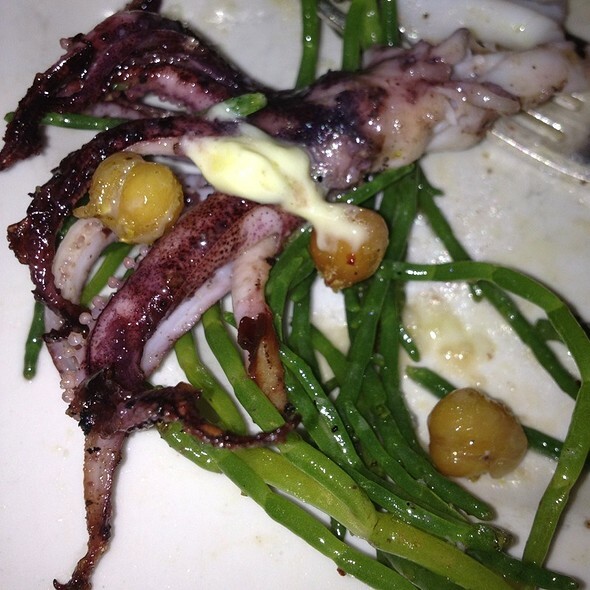 The starter was good with different kinds of charcuteri. The risotto tasted like rice porridge and was not good at all. It is an easy dish to do, so I dont understand how it could turn out like this. Also I did not find the Zucchini Flowers that was in the description of the dish. The place is too pricy for what it is. Loved Il Buco. 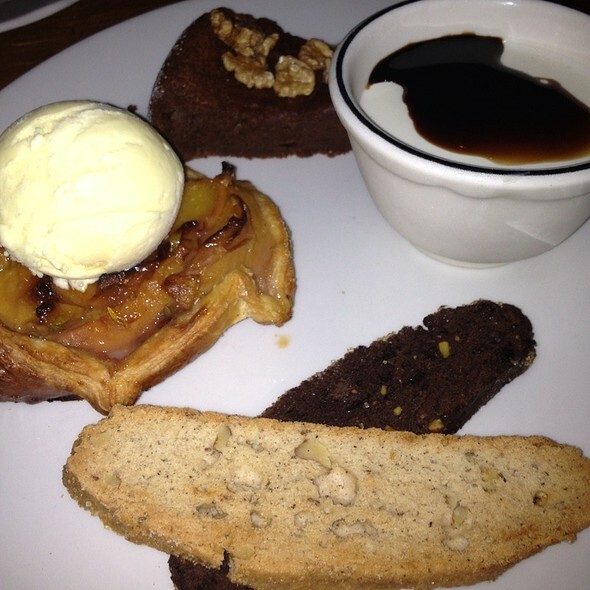 The food was sensational and the flavours extremely well considered. Very good sized portions too and great for sharing (so we could try more!). Service was impeccable, the staff were friendly and very knowledgable in wine recommendations and matching with food. We had the ceviche, prawns, octopus and risotto. All simply delicious. The highlight was the fruit tart and wine match though! 100% would recommend and go again. The service was great. The food was exceptional. The noise level last Thursday was abusive. Management should consider asking obnoxious parties to be more considerate of others. Everyone at the communal table was suffering. We were pushed out before dessert. It's a shame. It was always one of our favorite restaurants when we were dating. The atmosphere lends itself to intimacy even though around you in the shadow filled room the service impeccably dances around to deliver a memorable evening. 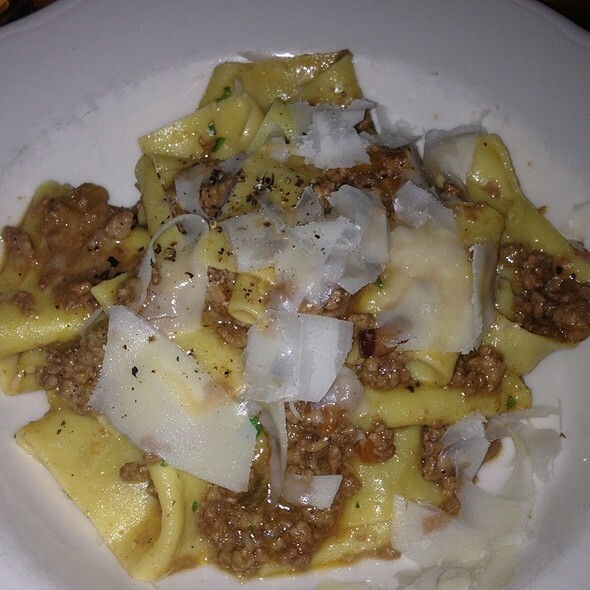 So, when we got married, the obvious choice for our wedding dinner was Il Buco. It didn't disappoint and never dies. The food is reliably fantastic. And we are always so grateful that even though our anniversary overlaps with fashion week they manage to fit us in. This year was like no exception...I love them. Wonderful unique NY experience with fine food and sophisticated diners. Service was elegant in a antique store setting. Highly recommended. My son and I ate early before heading off to the theater, and thoroughly enjoyed our meal. We shared the dishes and had the olive starter, two wonderful salads, (fava bean salad and tomato/panzanella salad)"deconstructed" lasagna, and a snapper dish.